Lui will serve a three-year term from October 20, 2018. 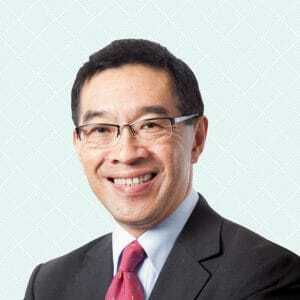 The Securities and Futures Commission (SFC) announced today that Tim Lui Tim-leung has been named as the chairman of the Hong Kong regulator. Lui was appointed by the Chief Executive of the SFC and will serve a three-year term from October 20, 2018. Lui will be replacing Carlson Tong, who was chairman for six years. Before being appointed in 2012, Tong was a non-executive director of the regulator, starting in April 2011. Speaking of his successor, Tong said: “Mr Lui has a wealth of knowledge and experience from his accountancy profession and his public services in various capacities. Lui joins the securities regulator following a three-decade career in accounting. Currently, he is a senior adviser at one of the world’s largest financial firms, PwC. He will step down from this position at the end of September, before starting his role at the SFC. In the statement released by the securities regulator today, Alder also commended the work of the outgoing chairman: “This has been a period of immense change for Hong Kong as an international financial centre as well as for the SFC itself.